Until the Kessock Bridge opened to road users in 1982, a journey up the spine of Scotland would have culminated in a short ferry crossing over the Beauly Firth to the Black Isle. This mainland peninsula is substantially better connected nowadays than it was 35 years ago but, despite its proximity to the city of Inverness, it retains a feeling reminiscent of the Scottish islands. Sea views are ever-present as the Black Isle is surrounded on three sides by the Cromarty, Moray and Beauly Firths to the north, east and south respectively, and its western boundary is marked by the Rivers Conon and Beauly. The name of this Highland peninsula is thought to derive from the Scots Gaelic eilean meaning ‘island’ and dubh meaning ‘black’; the latter most likely a reference to the dark fertile soil. The Black Isle’s evocative name and island aura guided me to its northern shore, when I relocated from Edinburgh in 2013 in search of a slower pace of life and a closer connection to the outdoors. Although the landscape arguably lacks the drama of the west Highlands, the more favourable climate, the seasonal changes in the agricultural landscape and the number of places of interest make it an appealing place to settle, whether for a week’s holiday or for a lifetime. 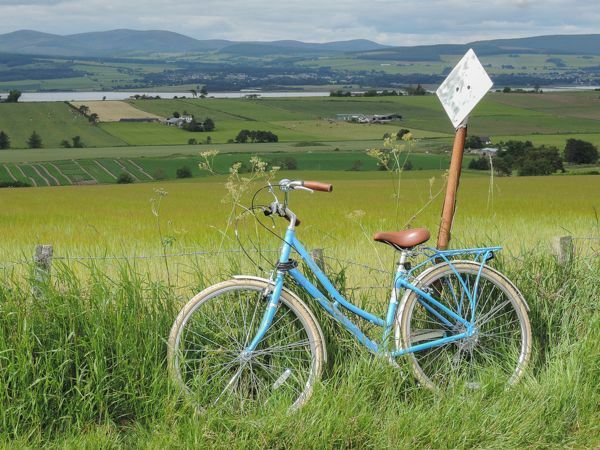 The Black Isle is ideally situated for exploring the four points of the compass. Inverness and Dingwall are within easy reach for commuters like myself and both have a superb choice of amenities. To the north, following the popular North Coast 500 route around northern Scotland, a two-and-a-half-hour drive along the Sutherland and Caithness coastline leads to John o’ Groats and the starting point for a journey westward to Durness, or a ferry crossing to Orkney. To the south Loch Ness, Glen Affric and the Cairngorms are all well within day-trip reach and, to the east, there is the Moray coast and Speyside, famed for its plethora of whisky distilleries. Westward, an hour’s drive leads to Torridon or Ullapool, the gateway to the small but spectacular mountains of Assynt and Coigach as well as the ferry port for the Isle of Lewis. The rounded bulk of Ben Wyvis, a Munro, forms an impressive backdrop to the agricultural and forested landscape. 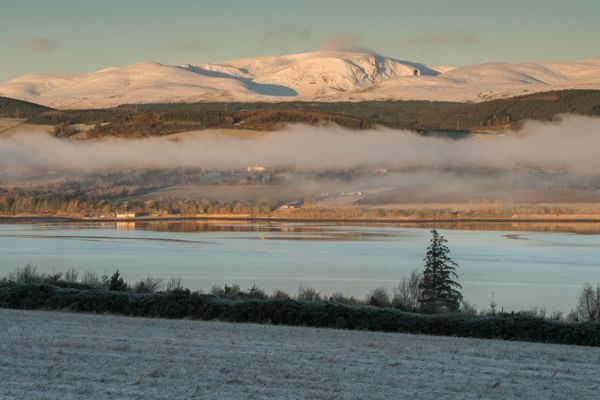 With a height of 3,432’, Ben Wyvis, located on the northern side of the Cromarty Firth, contrasts with the low lying Black Isle, which rises to 840’ at Mount Eagle. The gently undulating terrain and the quiet country roads make this a haven for cyclists. For the energetic, a 60-mile circumnavigation is achievable in a day. 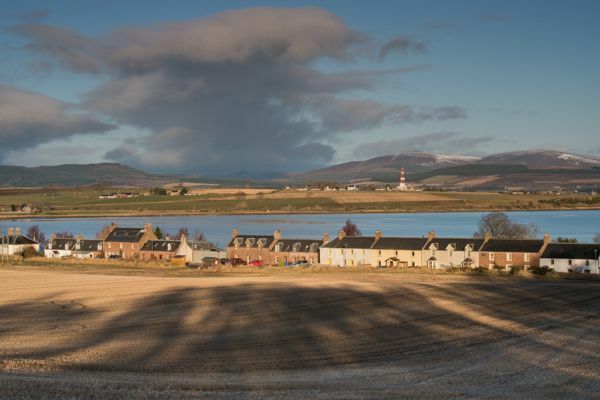 A more sedate drive around the peninsula is also appealing, taking in quaint villages and towns such as Jemimaville, Avoch and Cromarty, the birthplace of the 19th Century geologist and writer, Hugh Miller. This small town on the tip of the peninsula is ‘a miniature Edinburgh’ with its quirky architecture, annual film festival plus crime fiction and fiddle weekends. Other hidden gems on the Black Isle include the Fairy Glen and Udale Bay Nature Reserves, the ancient ‘Clootie Well’ at Munlochy, where rags have been soaked and left to hang on trees in healing rituals possibly since pre-Christian times, together with a ruined 16th Century castle in Resolis. The area’s agricultural heritage is celebrated each year with a ploughing competition and the Black Isle Show at Muir of Ord; an event which dates from 1836. 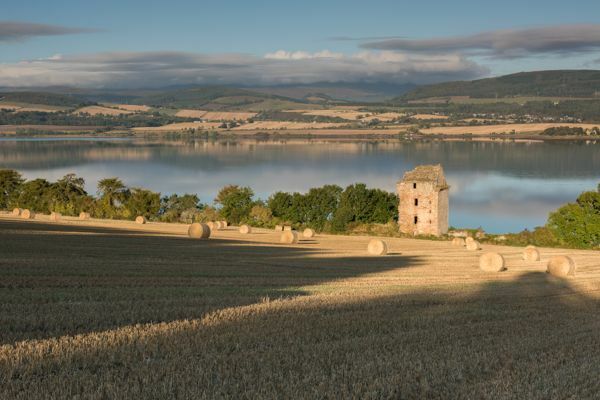 In keeping with its distant island cousins, the Black Isle’s rich heritage stems from both land and sea. The mouth of the Cromarty Firth is a large natural harbour and an important centre for equipment manufacturing and construction and maintenance for the offshore oil, gas and renewable energy sectors. Indeed, oil rigs and pipe-laying vessels are prominent features in the views from the north side of the peninsula. Chanonry Point protrudes into the Moray Firth between the village of Rosemarkie and its larger neighbour, the cathedral town of Fortrose. It is the location of a lighthouse which was constructed in 1846 by Alan Stevenson, a member of the lighthouse and literary dynasty. It is also the site of the barbaric murder of the Brahan Seer, a predictor of the future who lived in the area in the 17th Century. Many of the Brahan Seer’s predictions came true in the years following his death, including the Battle of Culloden and the construction of the Caledonian Canal. Sadly, he failed to predict his own untimely demise of being burnt at the stake accused of witchcraft. Chanonry Point is regarded as one of the best locations in the UK to view bottlenose dolphins. On incoming tides, dolphins chase and feed on fish close to shore and spectators on the beach are often rewarded with short range views of these remarkable creatures. The Moray Firth is one of Scotland’s most important marine habitats and supports many other species including porpoises, minke whales, seals and otters. The Black Isle’s second lighthouse, located in Cromarty, is used as a field station by Aberdeen University for research and training in marine ecology and resource management. In addition to its dolphins, the Black Isle is also renowned for its population of red kite. This bird species became extinct in Scotland in the late 19th Century, but was reintroduced between 1989 and 1994 and these raptors are now a familiar sight overhead, although illegal persecution in the area has curbed their breeding success. Raptor persecution is not the only contentious environmental issue. The transition from fossil fuels to renewable energy was dealt a blow in 2015 when a narrow majority of 54% of the local electorate voted against a proposal for three community-owned wind turbines to be constructed in a commercial forestry plantation. 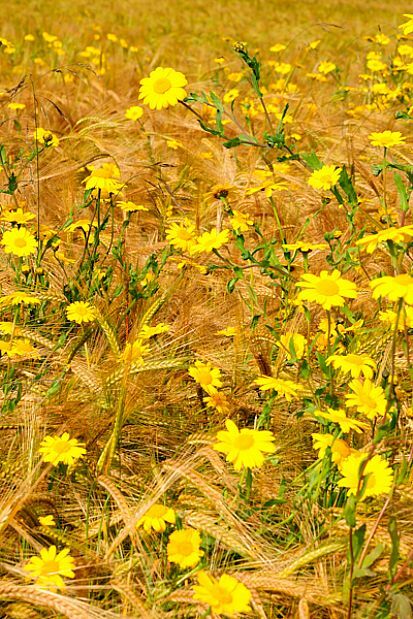 Opponents expressed concern over visual and ecological impacts while supporters saw an opportunity to secure funding for rural development that addressed climate change and rising sea levels. Springfield, Resolis - the quiet country roads of the parish of Resolis are inviting for cyclists. Image copyright Karen Thorburn. The dust has temporarily settled on this particular debate and attention has returned to projects with a focus on local food and trade at community markets together with cleaner transport and boosting tourism. Meanwhile, a debate concerning ship-to-ship oil transfer in the Moray Firth rages on. The controversial proposal, put forward by the Cromarty Firth Port Authority, would allow millions of tonnes of crude oil to be pumped between vessels in surrounding waters. The Black Isle faces many of the same challenges as other Scottish mainland and island coastal communities. Here is the never-ending balancing act of pursuing technological progress and infrastructure development, while conserving the environment and providing a sustainable future for the younger generation. The increasingly well-connected 21st Century world has arrived with the rollout of more powerful broadband in rural areas. The ongoing upgrade of the A9 trunk road to dual carriageway between Perth and Inverness and its status as the first leg of the North Coast 500 coastal route are significant. The ‘old ways’ have changed as the Highlands have become more accessible, but this Highland peninsula has retained a strong sense of identity. These improved connections have opened the door to people like myself; keen to trade the hustle and bustle of large centres of population for a more sedate rural lifestyle, with the convenience of Inverness within commuting distance and the whole of the Highlands and Islands on the doorstep.